Did you know, that today, February 4 is World Cancer Day? If you wish to read more about this, please do visit the campaign’s official website here. The website will give you elaborate explanation. One of the targets to be achieved by 2025 in this area is to reduce global tobacco consumption, overweight and obesity, unhealthy diet, alcohol intake, and other things that might increase the risk of cancer. Although to some people this might be hard to do, it is actually the simplest thing because each person is responsible for their own healthy lives. You have every resource in your mind to stop any unhealthy habit and start living a healthier life. Start small, and it shall improve over time. Personally, I started to develop an exercise habit after my father passed away. I know I am still very far from having the ideal healthy lifestyle, but he was an active person during his youth so it’s the least I can do to honor him, while living a healthier life myself. When my father was first diagnosed with lung cancer, it started with common cold symptoms. He had cough for a long time and ignored it at first. When he finally went to the doctor, the doctor first diagnosed him with bronchitis. Then there’s this event where the hospital somehow lost his lung’s x-ray scan. When the treatment for bronchitis did not help at all (obviously…), and the hospital finally could give us the x-ray scan… it was discovered that he had stage 3B lung cancer. Until this day, sometimes I still like to play what-if scenarios. I know I can’t do that but I just can’t help it. What if he did not ignore his cough? what if the cancer was detected in earlier stage? would that make a difference? That’s why I think it is very important, for the society to be aware of cancer warning signs. Our family was fortunate enough to receive generous support from everyone so that we could give my father the best medical treatment and assistance. What I am going to say next does not mean to discredit anyone in Indonesia’s healthcare system but it’s just very unfortunate to have happened to our family. So, after my father was diagnosed, when the doctor here explained his condition, he was told that he had around 6 months to live. He was shocked. Moving forward to when he was getting a medical treatment in Singapore, his first question when he met his doctor there was “how much time do I have left?”. And I still remember clearly the doctor’s answer: “I’m no God and I can’t tell you how much time do you have left. But just be thankful that I’ve met other patients with your medical conditions but had worse physical conditions. Let’s just focus to keep you healthy“. You see, one of the targets to be achieved by 2025 in this area is to improve access to accurate cancer diagnosis, quality multimodal treatment, rehabilitation, supportive and palliative care service. I put emphasis on the latter because I truly believe that it is very important to give a supportive and palliative care to cancer patients, as a way to improve their health conditions. My father fought his battle very bravely. I never saw him lose hope until the very last moments of his life. During his battle, he also managed to maintain a good spirit and keeping a fit (for his condition) figure. True, he lost his hair and his skin got irritated. There were also other medication side effects that barely damaged his body. But at least he maintained a positive fighting spirit and, copying the term, maintained a maximum quality of life until the very end. Although his battle did not last that long, I can proudly say that he had fought very bravely and I wish for every cancer patients to do the same. I give them all my support. I am going to close this post with a happy picture of me and my papa. There is never a single day that I don’t miss him and I hope he rests in peace. May he rest in peace Christa. My dad died because of lung cancer too. And a year a go I lost my sister to breast cancer. Let’s hope a cure will be invented to battle this mean disease. Thank you Lorraine.Yes, let’s hope a cure will be invented soon, and may your dad and sister rest in peace as well. Oooh, Christa. Thank You very much for the post. I feel very guilty for not choosing healthy lives. May your dad rest in peace Christa. Wishing the same thing with Mba Yo. duh, tertohok nih buat hidup sehat.. kalo olahraga sih lagi niat2.nya nihh.. seminggu sekali/ dua kali ambil kelas dance / yoga.. huahua.. tapi kalo makanan.. duh. kyk sulit untuk mengatakan tidak sama yg enak2.. 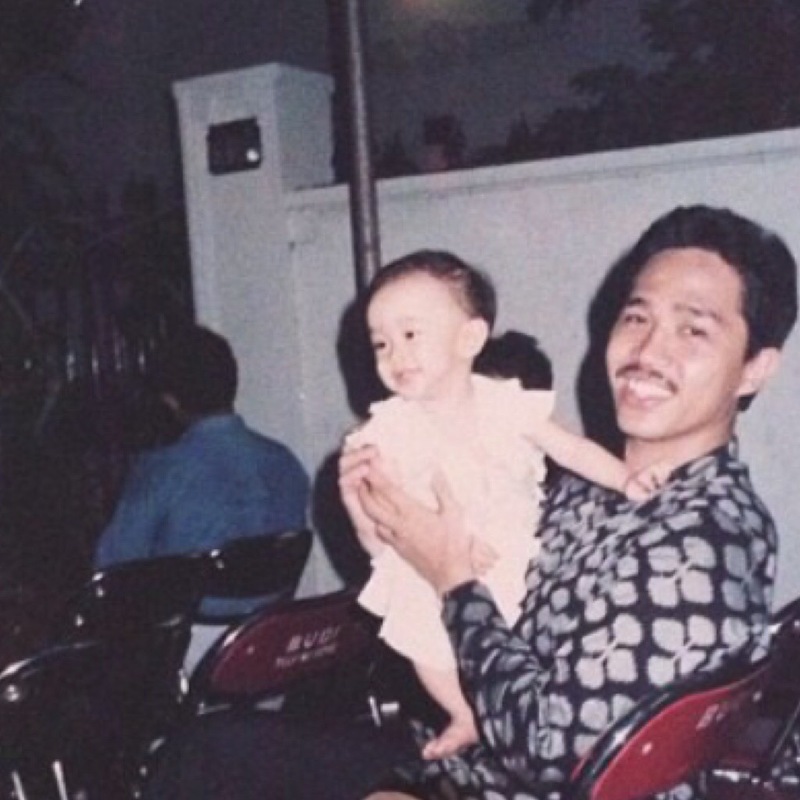 Thanks infonya Christa, may your papa rest in peace. Thanks for sharing the story of your father. May he rest in peace. I am sure he is happy up there Christa. My dad is a cancer survivor and I thank God everyday for keeping him with us though now we live miles and miles away. I can totally relate to the painful and stressful days of the beginning of the diagnosis and the treatment. I practically lived in the hospital back then. Going through that changed our life style and diet. Being healthy is something that we should never take for granted. Terima kasih ya Adhya, semoga kita semua selalu sehat..